You are currently browsing the category archive for the ‘ebooks’ category. 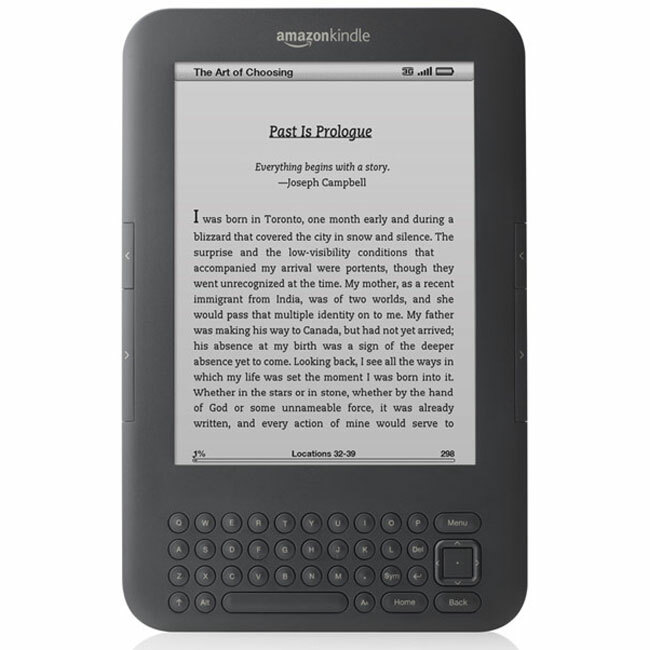 If you like reading e-books, I’m giving away a Kindle Paperwhite. I like the fact that this Paperwhite is waterproof. That makes it great to read at the ocean, near the pool, or in the tub (don’t judge me). It has a 300 ppi glare-free display so you can easily read it outside, but it also has a built-in light for nighttime reading. You can enter the giveaway daily, and the more you share it, the more chances you will have to win. So enter every day, share it on Facebook, and retweet it. When 2018 ends, I will have done 28 festivals, not to mention other book signings, talks, and events. I mention the festivals because, as expected, they are a great place to sell books. I enjoy talking to readers, and I’m thrilled when I meet someone who returns to see me year after year at the same festival to buy my latest books. I have discovered another benefit to festivals. After the festival, I see an uptick in my digital sales. I check my online book sales and ebook sales regularly. I realized a long time ago that my online books sales jumped after festivals. Why? I don’t know, seeing as how I offer a better deal at festivals and I’m there to sign the book. Still, some people apparently look at my books at a festival and then go home to order the unsigned books online for more money. I have always been a fan of festivals as a place to sell books. This just adds one more reason to why authors should use festivals as part of their marketing plan. Curious how to pronounce the title of my historical novel Canawlers? It’s CAN-all-ers. It’s what boatmen on the C&O Canal sounded like when they used to say “canaller”. They also had a challenging and dangerous job during the Civil War. Canawlers brought coal and other goods 185 miles from Cumberland, Maryland, to Georgetown. All the while, they traveled along the Potomac River within site of the Virginia shore and the Confederate States of America. The C&O Canal ran along the border of two warring nations, the canawlers were caught in the crossfire. Then fate takes Hugh away from his family, leaving his wife, Alice, to hold the family together. With the help of her children; Thomas, George and Elizabeth; Tony, an orphan from Cumberland; and David Windover, a disillusioned Confederate soldier, they will face the dangers presented by the war, nature, and the railroad together. Download your Kindle copy for FREE until Jan. 20. If you’re a fan of Edgar Allan Poe, The Man Who Killed Edgar Allan Poe solves the mystery of the great writer’s murder, and you can get it FREE on Kindle until Jan. 13. You might be thinking that Poe wasn’t murdered. He died in a hospital. You’re wrong. While he did die at the Washington Medical Center, before that, he was found delirious on the streets of Baltimore and wearing clothes that were not his own. He was admitted to the hospital where he died without explaining what had happened to himself. One clue to what happened to him was that he shouted the name “Reynolds” before he died. The Man Who Killed Edgar Allan Poe. This is his story, although it reads like one of Poe’s horror tales. Alexander Reynolds has been known by many names in his long life, the most famous of which is Lazarus, the man raised from the dead by Christ. Matthew Cromwell is another resurrected being living an extended life. Eternal life has its cost, though, whether or not Alexander and Matthew want to pay it. Alexander has already seen Matthew kill Edgar’s mother and he is determined to keep the same fate from befalling Edgar. From the time of Christ to the modern days of the Poe Toaster, The Man Who Killed Edgar Allan Poe is a sweeping novel of love, terror, and mystery that could have come from the imagination of Edgar Allan Poe himself. Horror or Historical Fiction? What’s your vote? This statement in the book struck me because it’s far from my own experience. I get about 45% of my income from my books and about 5% from my ebooks. I certainly wouldn’t mind it being the other way around if my current book level made up the 5%. With a $7.99 ebook, I earn a $5.42 royalty for each sale. For $2.99 ebooks, I earn $2.04 and for $0.99 ebooks, I earn $0.35. That a pretty high percentage (35% to 68%). By contrast, for a $19.95 paperback, I earn between $5 and $15 after subtracting the book production costs. That means I’m earning between 25% and 75% in net profit for each book. So per book, I make more for each print book than I do for each ebook. Ebooks tend to be less expensive, though, but you need an e-reader to read them. I still run into plenty of people who tell me that they don’t have an e-reader or that they like the feel of a book in their hands. To be honest, I also meet people who look at my books and ask if they are available on Kindle, Nook, or Kobo. I still need physical books to sell when I do festivals or presentations. People are there ready to buy and are looking for them. My book sales have been growing nicely over the past couple years, but the e-books haven’t kept up. It certainly seems like it would be a more efficient use of my time if I was selling a couple thousand ebooks a month. I think Penn’s statement just shows how much better my marketing needs to become. It’s all right, but it needs to be better. It can be better. So what are your experiences? Do ebooks or physical books sell better for you? What are your best marketing techniques?